A Portuguese mercenary who fought in several wars, sold slaves, and lived hard, John was known to “think with his heart” by acting impulsively. At the age of 40, retired from the army and a book dealer in Granada, he heard a sermon that changed his life. He became as extreme in his dedication to his religious life as he had once been to his life as a soldier. He tested the physical limits of his own heart by serving the sick and poor with an intense fervor. He is invoked by those plagued with heart conditions for protection against heart attacks. Brought up by pious and simple people, John had left home for a life of adventure when he was still a young boy. He worked as a shepherd and as soon as he was able, he enlisted in an army regiment. By the time his regiment disbanded, John was weary of the immoral life he led as a soldier. When he went to find his parents, he was told by an uncle that they had both died grief stricken over his disappearance. John vowed to live a better life and began selling pious pictures from town to town. On the road to Granada he met a barefoot child on the road who he offered to carry. To his surprise the child became heavier and heavier. When John put the child down at a fountain, the child gave him the title he would always be known as, saying, “John of God, Granada shall be your cross,” before disappearing. It was in Granada that he opened his book store and heard the sermon of John of Avila which shattered his existence. The thought of all the wrongs he committed in his life drove him to madness. Incarcerated in a filthy hospital, he suffered the mistreatment of the insane first hand. As he recovered his sanity, he began helping the nursing staff. Upon his release, he devoted the rest of his life to the sick and destitute, never forgetting how terribly they were treated in the local institutions. He founded the Order of the Brother Hospitallers and opened a hospital, funding it by begging in the streets. When his hospital was burning down, he ran in and carried each patient out one by one. He is frequently depicted carrying a hospital patient. Because of this he is also considered a patron of firefighters. While recovering from an illness, John of God leapt into a river in an unsuccessful attempt at rescuing a drowning boy. He died on his 55th birthday from an over-exhausted heart. The symbol of Granada is the pomegranate, it is also a fruit with many seeds, which John’s Order took as a symbol of their founder’s spiritual influence. Saint John of God, heavenly Patron of the Sick, I come to you in prayer to seek your help in my present sickness. Through the love which Jesus had for you in choosing you for the sublime vocation of serving the sick, and through the tender affection with which the Blessed Virgin Mary placed upon your head a crown of thorns as a symbol of the sufferings you would undergo in the service of the sick to attain to your crown of glory, I beg you to intercede for me to Jesus and Mary that They may grant me a cure, if this should be according to the Will of God. Good Saint John, lover of those who suffer and special Patron of the Sick, I confidently place before you my earnest petition. I beg you to recommend my request to Mary, the Mother of Sorrows and Health of the Sick, that both Mary and you may present it to Jesus, the Divine Physician. Saint John of God, Patron of the Sick, pray for us. Say this novena nine times in a row for nine days in a row. Brilliant and beautiful, Catherine of Alexandria was a force to be reckoned with. While still in her teens she had mastered philosophy, several languages and medicine. Because of her clarity of mind, she had great poise and self-confidence. One of the Fourteen Heavenly Helpers, the people of the Middle Ages believed she was one of the most powerful of early saints and invoked her for everything. Definite in her beliefs, we call on her for help in our studies or before we begin a major project, as she will clearly guide us. The daughter of a governor, Catherine lived in a sumptuous palace among beautiful objects and scientific wonders. It is said she told her mother that she refused to marry anyone who was not as brilliant or beautiful as herself. Her mother readily agreed, not realizing that Catherine had discovered Christianity in her philosophical studies and had vowed herself to Christ. While working in her palace she heard the screams of a group of Christians who were being tortured . for refusing to give up their faith. Catherine went straight to the Emperor Maxentius and demanded he stop this persecution. Charmed by Catherine’s beauty, he invited her to debate the leading philosophers in the region to see if she could be persuaded to abandon Christianity by reasonable arguments. Instead of these fifty great scholars winning over the young girl with their scholarly knowledge, Catherine converted them to Christianity. Enraged, the Emperor had all fifty of these great men burned in the public square. The Emperor then tried to charm Catherine with promises of great riches if she would become his concubine. Reminding him of her promise to Christ, she refused and was instantly imprisoned. While Maxentius was away on a trip, his wife visited Catherine in prison aand Catherine converted her to Christianity along with her prison guards and the Captain of the Emperor’s Legion. Upon his return to Alexandria, Maxentius was outraged at what he regarded to be the betrayal of his wife and legion. He ordered Catherine to be killed by being rolled on a spiked wheel. Catherine was fastened to the giant wheel and just as it was about to be rolled, her straps broke and she was released as the wheel shattered into hundreds of pieces killing many in the crowd. Catherine was then beheaded by sword. According to legend, angels then transported her body to the top of Mount Sinai, where a monastery and church devoted to Saint Catherine still exists. St. Catherine is always depicted with a wheel and she is the patron of any occupation that requires a wheel. During the Middle Ages St. Catherine was viewed as an exemplary example for unmarried women. Therefore, in France and England St. Catherines’s Day is celebrated by unmarried women asking for husbands. Almighty and eternal God! With lively faith and reverently worshiping Thy divine Majesty, I prostrate myself before Thee and invoke with filial trust Thy supreme bounty and mercy. Illumine the darkness of my intellect with a ray of Thy heavenly light and inflame my heart with the fire of Thy divine love, that I may contemplate the great virtues and merits of Saint Catherine of Alexandria in whose honor I make this novena, and following her example imitate, like her, the life of Thy divine Son. Moreover, I beseech Thee to grant graciously, through the merits and intercession of this powerful Helper, the petition which through him I humbly place before Thee, devoutly saying, “Thy will be done on earth as it is in heaven.” (Mention your request here.) Vouchsafe graciously to hear it, if it redounds to Thy greater glory and to the salvation of my soul. At that time 50,000 Italian immigrants lived crammed in a filthy ghetto in New York City. There was no one there to help or intercede for them. Arriving with six other nuns, Mother Cabrini was told to go home by the archbishop of New York. Instead, she moved her nuns into the Italian slums and immediately opened an orphanage. Through her personal tenacity as well as her willingness to live among the poor, Mother Cabrini set an impressive example for those trying to enact social reforms. Gifted with an innate business sense, and due to the great success her order had in caring for the destitute and displaced, Mother Cabrini was able to raise money from all levels of society. Within a few short years the Missionary Sisters of the Sacred Heart had opened orphanages, schools, hospitals and nurse’s homes throughout the United States, Central America, Argentina, Brazil, France, Spain, England and Italy. She became a United States citizen in 1909. Though she was a tireless worker and an excellent administrator, Mother Cabrini felt the most important part of her day was the time she spent in mediation. 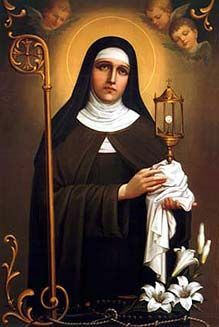 Devoted to the Sacred Heart of Jesus, she felt great strength was to be found in humility, obedience and a quiet atmosphere. In her own case, by following the Pope’s orders at the expense of her personal dreams, she found more success in her mission than she could ever imagine was possible. At the time of her death, she had sixty seven foundations and over thirteen hundred missionaries carrying out her work. Mother Cabrini is usually depicted in the habit of her order, surrounded by immigrants and school children. Jesus with the Sacred Heart glowing: Mother Cabrini was especially devoted to meditating on the Sacred Heart of Jesus. Immigrants: It was her mission to care for the tens of thousands of newly arrived immigrants in the United States. O loving Savior, infinitely generous, seeking only our interest, from your Sacred Heart, came these words of pleading love: “Come to me all you that labor and are burdened and I will refresh you.” Relying on this promise of your infinite charity, we come to you and in the lowliness of our hearts earnestly beg you to grant us the favor we ask in this novena, (mention your request here) through the intercession of your faithful servant, Saint Frances Xavier Cabrini. Amen. Love for God and everything in creation so consumed Saint Francis of Assisi, that he was able to commune with the natural world on a divine level. Taming wolves, quieting flocks of birds and infusing peace and contentment to the humanity he interacted with, we call on Francis of Assisi to bring us into the harmonious rhythms of the universe, where all of nature and mankind are at one with the divine force of creation. Crucifix: Francis received messages from God when he meditated on the crucifix. 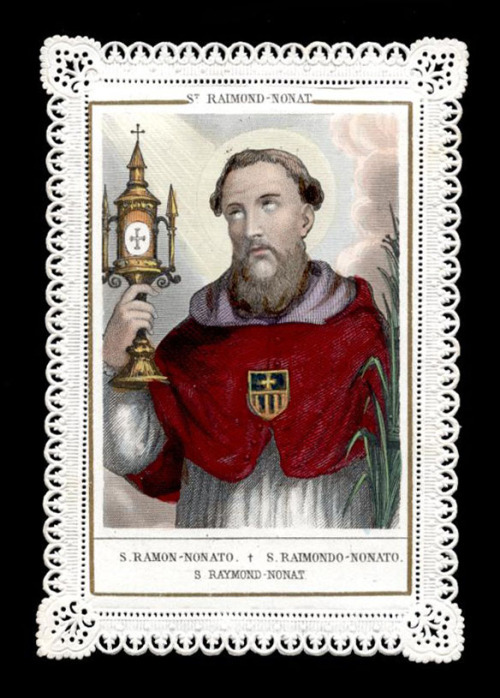 Stigmata: Francis was the first saint in history to receive the stigmata, or wounds of Christ while in meditation. O Beloved Saint Francis, gentle and poor, your obedience to God, and your simple, deep love for all God’s creatures led you to the heights of heavenly perfection and turned many hearts to follow God’s will. Now in our day, in our ministry to the many who come here searching for peaceand intercede for us we come before the Lord with our special requests… (Mention your special intentions here.) O Blessed Saint of God, from your throne among the hosts of heaven, present our petitions before our faithful Lord. May your prayers on our behalf be heard and may God grant us the grace to lead good and faithful lives. Amen Saint Francis of Assisi, pray for us.